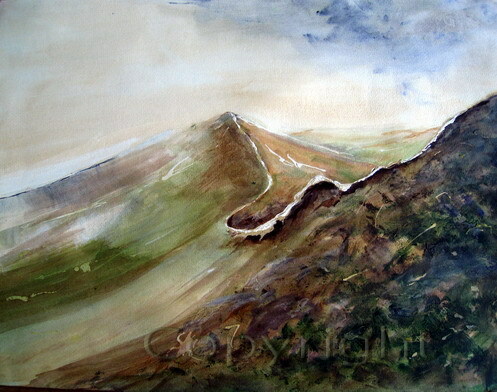 This is a scene of mist over a mountain top in acrylic paints. 400 gsm paper. Size 28" wide. I like the movement in your painting, and the sense of distance and depth.